The school holidays are upon us here in France and I’m busy brainstorming ideas to keep my 4-year old son Arthur busy (and therefore myself sane!). We spent the earlier half of the week visiting family in Cantal for his birthday celebrations, and then briefly back in Saintes for an immigration appointment. But now that we’re back home near Aix, I’ve been uncovering all of the best things to do with kids in Provence! Our first day back in Provence we headed an hour north-west, to yet another of France’s Most Beautiful Villages, Les Baux-de-Provence. 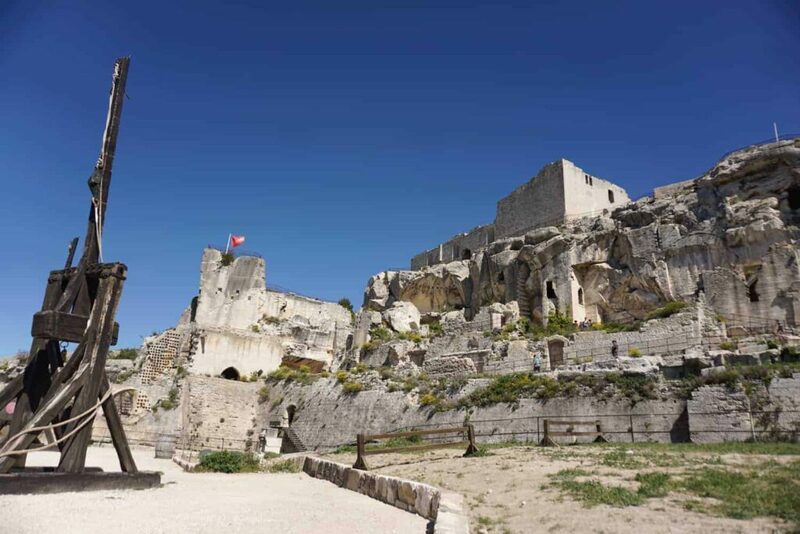 Not only is Les Baux an attraction in itself, it’s also home to the Château des Baux de Provence – an incredible fortified castle dating back to the 10th century. During the school holidays, the château makes visiting an even more memorable and magical experience for people of all ages – but kids especially! 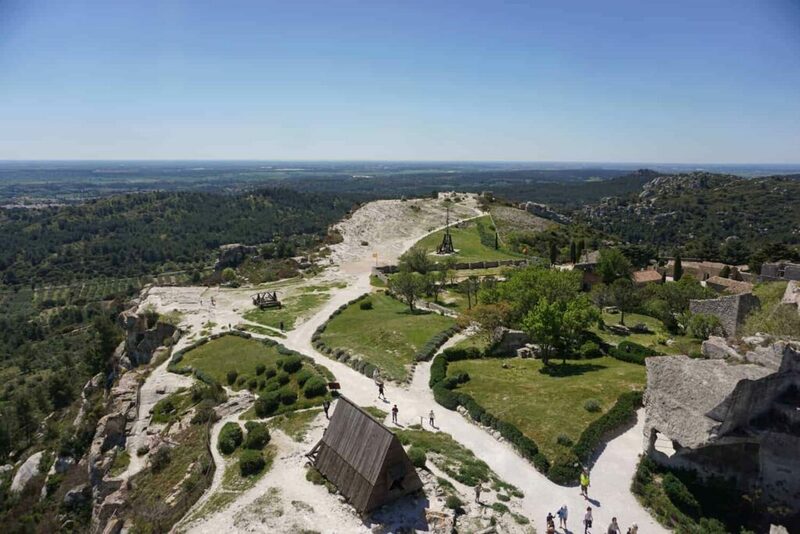 If a village ever deserved the title of France’s most beautiful, Les Baux certainly does! Quintessentially French, brimming with historical importance, and located atop a limestone hill in the Alpilles; Les Baux exudes provençal charm. There’s plenty to do in and around the village, from sampling the local delicacies on a sun-drenched terrace to experiencing art in a truly unique setting at the Carrières de Lumières. 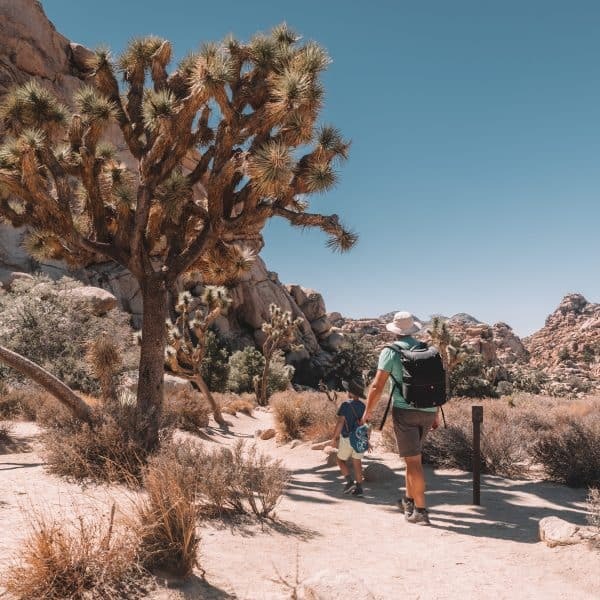 The tourism office hasn’t forgotten about its youngest visitors either – they’ve developed a “treasure hunt” for children to discover the hidden gems of the village. Their customised booklets cater to two age groups: 4-6 years old and 7-10 years old, and are available in both English and French. Tip: Download the booklet here before you visit – French Version or English Version. We arrived in Les Baux-de-Provence just after midday. As we wound our way up through the Alpilles, Arthur asked “is it going to be busy Mum?”. Seeing as this was one of many amazing villages in Provence, and it was a bit ‘out of the way’; and it was only April after all; my honest reply was “Hmm, I’m not sure. Maybe not”. But as we passed parked cars snaking up the roadside well before reaching the village, it soon dawned on me that we weren’t the only ones keen to explore the château and its grounds today. 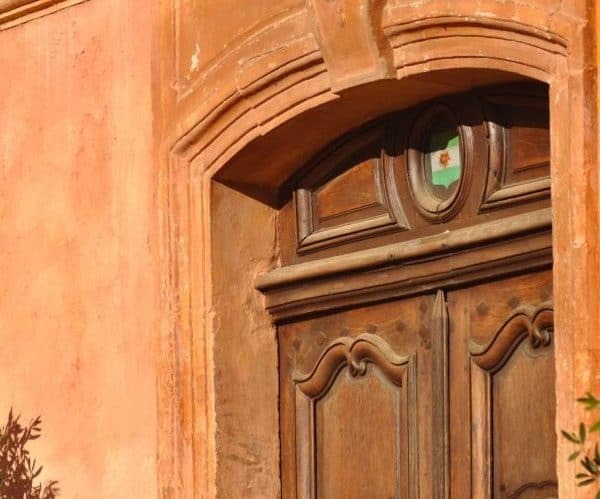 In fact, as I later learned, Les Beaux de Provence welcomes over 1.5 million visitors every year! The château dates back to the 10th century and was ruled by the lords of Baux until the barons of the Masons des Comtes de Provence overtook control in the 15th century. It was then, in the middle ages, that the château enjoyed its heyday. Unfortunately, from the 16th Century, the château was the subject of family feuds and religious wars before meeting its demise when Louis XIII ordered it to be destroyed. Today the château is in ruins, but enough remains to get a feel for how grand it once was. We were keen to start exploring the château, so set out to find the entrance to the attraction. Our first stop was the small on-site boutique to kit Arthur out with a Knight’s costume – a cute way to add to the excitement of the visit! We then walked the outer edge of the château, taking in the breathtaking view over the Vallée des Baux which is laced with vines and olive trees, and framed by the whitewashed Alpilles mountains. We continued to weave our way through the château, discovering the secrets of times past. There were several information boards (in French and English) to tell visitors about the various attractions, but sometimes pictures were better suited to tell the tales of battles fought and victories celebrated. Arthur was impressed by the monstrous size and structure of the weapons of siege and had a go at being in the medieval stocks (of course, I was requested to do the same!). We found some stairs up to the Saracen Tower and paused to have a snack while appreciating the history that surrounded us (well, I did!). Then returned to the start of our castle tour for the trébuchet demonstration that had the small crowd clapping and cheering. This was followed by a walk through the lower grounds we hadn’t yet explored. Arthur led the way as we wandered into tunnels, up stairs, through caves and eventually found ourselves at the top of the Paravelle Tower. From here we watched a catapult demonstration and visitors having a go at archery in a cavern beneath us. Les Baux-de-Provence is located in the Alpilles Natural Regional Park. Just over an hour from Marseille, and slightly less from Aix-en-Provence. Nearby towns Nimes, Avignon and Arles are all less than an hour away. Once in Les Baux-de-Provence, the entrance to the château isn’t overly obvious, despite its grand stature. To find it, head to the southern end of the village (opposite the Tourism Information Centre) and you’ll find the ticket booth at the end of Rue du Trencat. On Weekends and Public/School Holidays from April until the end of August, the château provides a programme of events to entertain its visitors. Everything from catapult demonstrations to watching as a blacksmith craftily creates armour in a method that dates back to the middle ages. When you buy your ticket, you’ll be provided with a map and a schedule of the day’s activities. Children aged 7-12 will also be provided with an activity book that will help them learn and discover through the use of games and puzzles. Make sure to visit on a weekend, school or public holiday between 1st April – 31st August in order to take part in the demonstrations that happen throughout the day. Although busier during these times, there was plenty of space, and plenty going on, that it never felt crowded in one area. In addition to the demonstrations mentioned above, the château also has seasonal events during the year – check the website for updates if you want to see what’s on when you visit. That said, if you prefer to visit at a quieter time, children will still have plenty of fun discovering the castle for themselves with the help of the children’s activity book or audio guide! The château is open every day of the year. Entrance to the castle costs €10.50 for an Adult, €7.50 for ages 7-10 and is free for under 7’s! When there are no activities on (ie. during the week outside of school holidays, or between September – March) the cost reduces to €8.50 & €6.50 respectively. 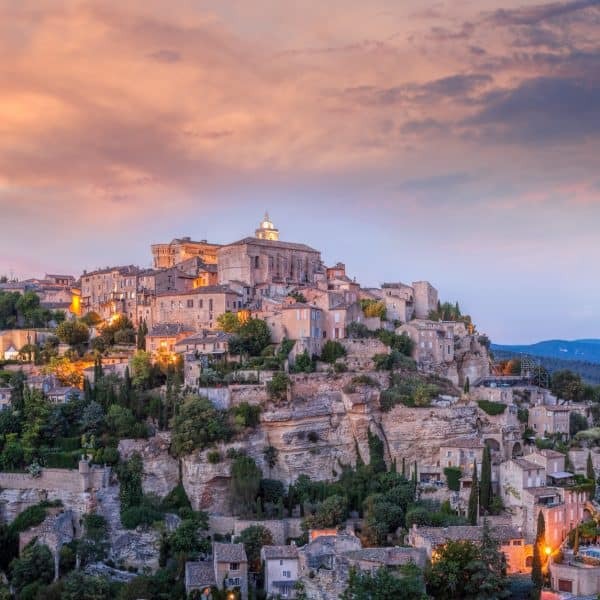 You can also buy a “Provence Pass” which will allow you to visit the château des Baux-de-Provence, the Carrières de Lumières, and the Musée Brayer at a reduced rate. This pass costs €18 for an Adult, €16 for ages 7-10 and is still free for under 7’s. Without activities, this reduces to €14.50 and €12.50. You can buy a ticket online, or at the entrance to the château. There are audio guides available soon after you enter the château. They are free to use and are available in 10 different languages. There are toilets next to the entrance, and there is a gift shop as you enter and exit the castle. Prices in the boutique are reasonable, as is the range of knights costumes, medieval themed books and local crafts. There is no parking in the village, but just outside in dedicated lots and on either side of the roads surrounding Les Baux-de-Provence. To park on the roadside leading down from the village, we paid a €5 flat fee for the day. It’s €1 extra to park in the car parks closer, but you’d have to be very lucky to get a spot! There are several car parks reserved for disabled visitors closer to the entrance. A full map of parking areas can be found here. Take food! Once you’re inside the grounds of the château there isn’t anywhere to buy food, so make sure you pack a picnic lunch. And Water. Drinks can be purchased from one of the vending machines, but cut out the unnecessary use of plastic and bring a bottle instead! Bring sunscreen and a hat. There aren’t many places to seek shade around the castle, so make sure to bring sun protection when visiting during the warmer months. We had a fantastic afternoon at the château and even managed to squeeze in a very quick visit to the Carriers de Lumieres on the way home (I wouldn’t recommend this for children sensitive to loud noises). 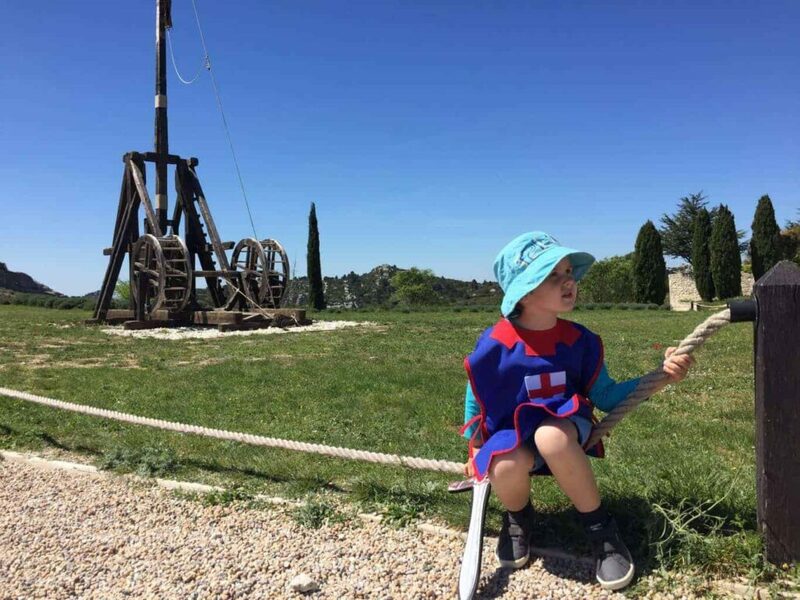 If you’re looking for more things to do with kids in Provence, keep checking in as I’ll be writing about our other school holiday activities shortly! I visited Chateaux des Baux 21 years ago! It was fun to see some more recent (and better quality) photos! A treasure hunt – what a fun way to explore the castle grounds! We love Provence, the scenery is just stunning. How lucky you are to call it home!